We keep calling you uptituders…But do you really know what an Uptituder is? First, he/she is a follower of Uptitude…second, this person has a specific attitude towards life. 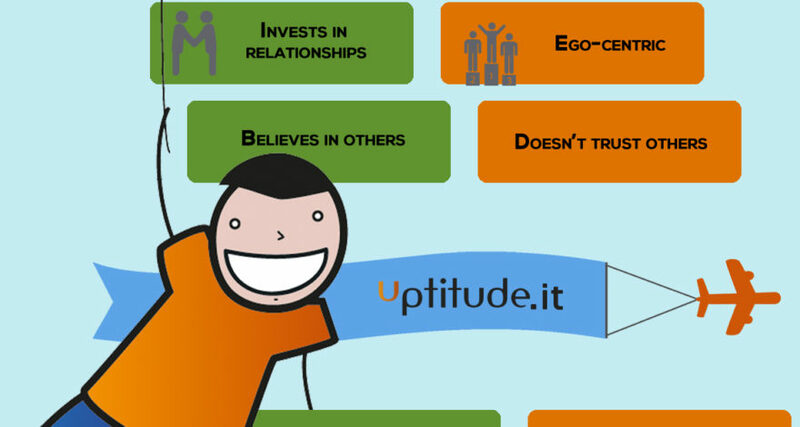 Check the infographic below to see what that attitude is compared to a non-uptituder. Are you one? Nice one Lidia. We all need to be reminded. Cultivating a positive uptitude ( 😉 ) is like exercising, it is ongoing c conditioning. Our positivity needs a workout to stay in shape. Inspiring graphic 🙂 Thank you. I love the graphic! Perfect to print it out and pin it up somewhere visible, to remind ourselves once in a while!